Will big tobacco jump on the marijuana movement? SPOKANE, Washington The states of Washington and Colorado legalized possession of small amounts of marijuana in the November elections, but it is unclear if any cigarette makers plan to supply either market. Marijuana remains illegal under federal law. President Barack Obama indicated last week that going after individual users won't be a priority, but there's no firm indication yet what action the Justice Department might take against states or businesses that participate in the nascent pot market, which has the potential to be large. For example, analysts have estimated that a legal pot market could bring Washington state hundreds of millions of dollars a year in new tax revenue for schools, health care and basic government functions. Bill Phelps, a spokesman for Philip Morris USA, maker of Marlboro, based in Richmond, Virginia, was vague when asked about the future intentions of the nation's largest tobacco company. "We have a practice of not commenting or speculating on future business," Phelps said, adding "tobacco companies are in the business of manufacturing and marketing tobacco products." "Reynolds American has no plans to produce or market marijuana products in either of those states," Hatchell said. "It's not part of our strategy." The Washington State Liquor Control Board is receiving plenty of applications from people who want to be certified to be able to grow pot legally, even though the agency is not yet soliciting such applications. Agency spokesman Brian Smith said Tuesday that some applications so far have come from people who have long been growing marijuana when it was against state law. "We're getting a lot of interest from people that want to be producers," Smith said. "Some say they have been growing it illegally until now." "But we could have outdoor grows in eastern Washington," he said. "We don't need to get to the level of oversight Colorado has in medical marijuana," he said. 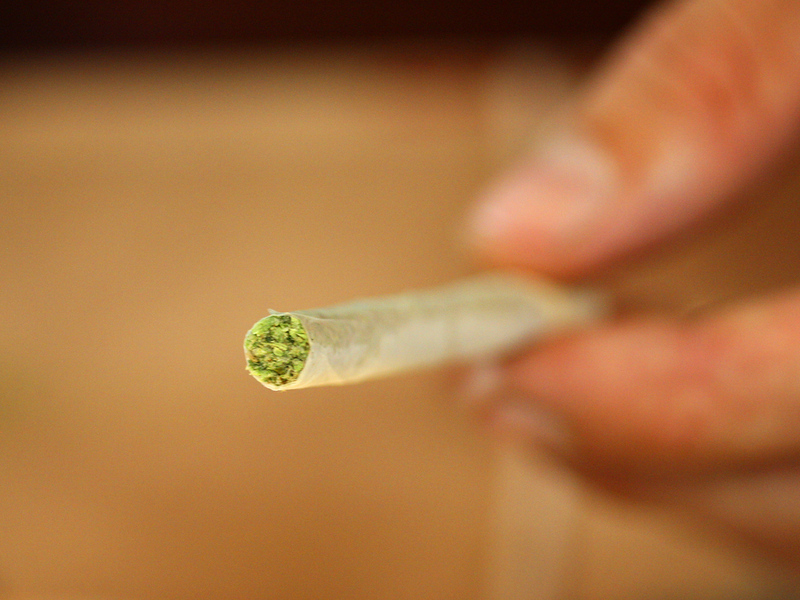 Washington's new law decriminalizes possession of up to an ounce of pot for people over 21. But selling marijuana remains illegal for now. The initiative gave the state a year to come up with a system of state-licensed growers, processors and retail stores, with the marijuana taxed 25 percent at each stage. In Colorado, a 24-member task force began work on pot regulations this week. The state's Department of Revenue must adopt the regulations by July, with sales possible by year's end.